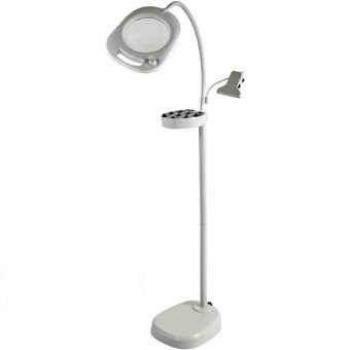 This is the upgraded version of the Purelite 3 in 1 Lamp - comes with an added chart clamp and accesory tray. Use anywhere lamp: floor lamp, table lamp and work lamp - all in one. Perfect for all types of craft. Battery or mains operated. Comes with chart holder, accessories tray and lamp base.